Ready Set Go! 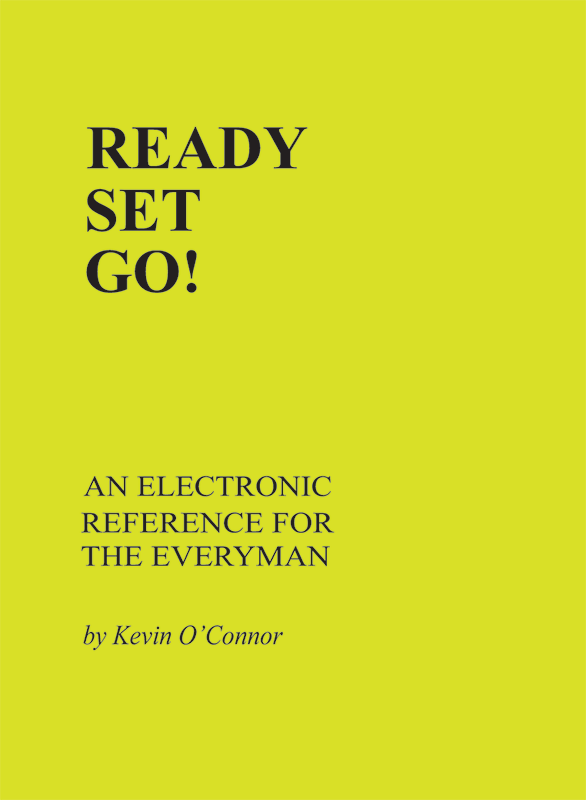 An Electronics Reference for the Everyman By Kevin O'Connor A handy reference for the novice electronic tinkerer and experienced craftsman alike. Informative and easy to read, the book explains: how to read schematic symbols; explains standard notation, S.I. symbols and tolerances; reveals the resistor color code; lists standard resistor values for 1%, 5%, 10% and 20% components; lists standard capacitor values and explains the colour coding of vintage caps; explains current, voltage, power, resistance, capacitance and inductance; explains Ohm's Law and how to figure out series/parallel resistance. Transformers and impedance are clearly explained. Examples are worked out throughout the book to illustrate how truly simple basic electronics is! spiral bound, 84 pages, 9" x 11".